Paper Crafts by Candace: You're outta this world! Happy Friday! Finally!!! Today I wanted to share another card with you! I have been on a huge card kick lately. I saw the cutest space kitty SVG file over at Scrapping Bug Designs so I had to have it! 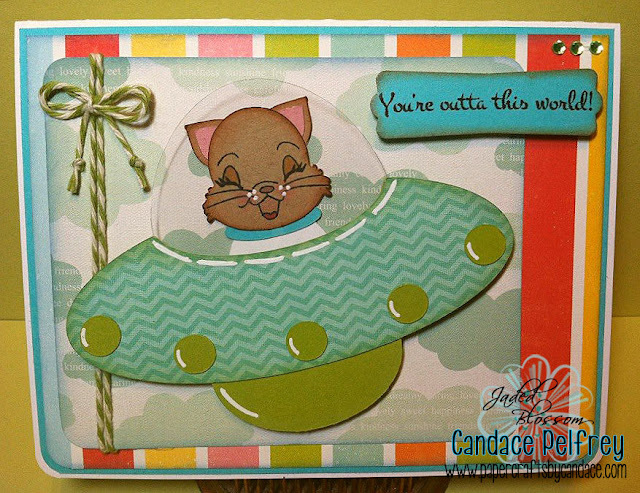 And I thought this cute little guy would go PERFECT with the Jaded Blossom Monster Mash sentiment "You're outta this world!" 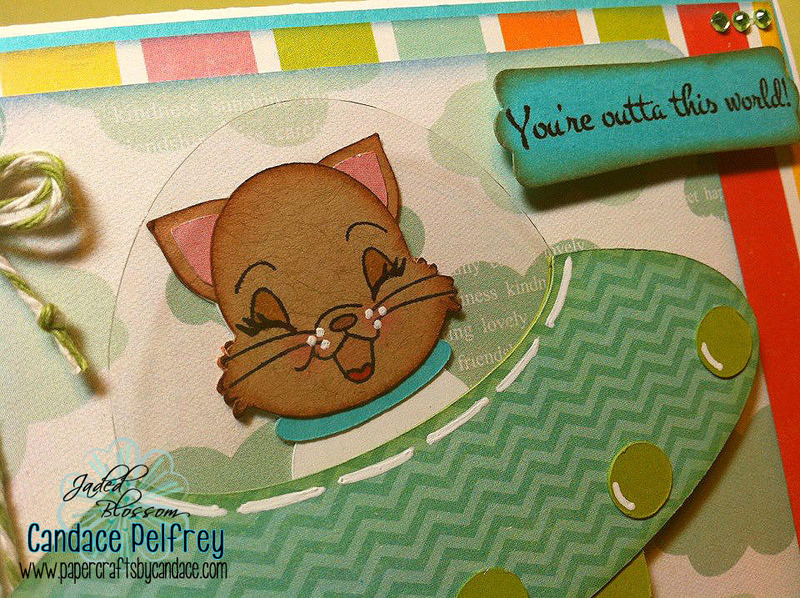 Sentiment: Jaded Blossom "Monster Mash"
Kitty: Scrapping Bug Designs "Space Cadet"
Face: Peachy Keen "Here Kitty Kitty"
Here is a close up of the spaceship bubble. I used clear acetate paper! Thanks so much for stopping by! Have a great weekend!! very cute!!! loving your cards!! Super super cute! love that kitty cat..
Chocolate is cheaper than therapy! Stamp Release Day 4 - Monster Mash! Stamp Release Day 3 - Chocolate Lovers! !